As a member of the Professional Women’s Bowling Association (PWBA), Melissa Bellinder-Parkin is better known as Missy to her friends, competitors and fans. 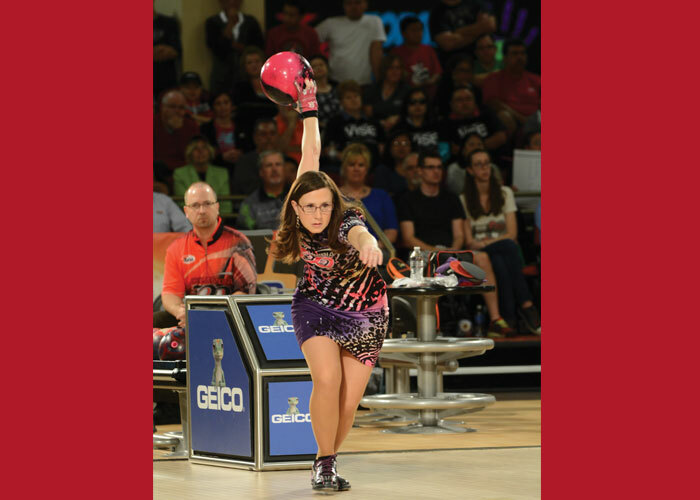 Fresh off of her two recent titles at The PABCON Adult Championships (Singles Gold Medalist) and her title defense at the 2016 PWBA Parkin’s Bowling Supply Open, I was able to sit down with her to strike up a game of catch up. Bryan Lee: Missy, let’s kick this interview off with a simple question. Why did you decide to become a professional bowler? Missy Bellinder-Parkin: It’s the only thing I’ve always wanted. Even in school as a young girl, when people would ask me what I wanted to be when I grew up, my answer was always, “I want to be a professional bowler.” My father was a professional bowler and owned a bowling pro shop, very much like golf pro shops. So I grew up surrounded by bowling – I was always in a bowling alley so this just seemed like a natural fit. BL: In what year did you turn pro? MBP: In 2004. I had hoped to join the professional women’s bowling tour but just as I turned professional, the tour folded. So I became the first woman to join the men’s Professional Bowlers Association (PBA). I would later become the first woman to win three PBA regional titles and earn the highest finish ever by a woman at both the 2012 USBC Masters and 2012 PBA U.S. Open. BL: So in your sport the women continue to compete with the men? MBP: Well, the Professional Women’s Bowling Association (PWBA) began again in 2015 so we now have our own full-time tour. MBP: [Laughs] Bowling is my life. In addition to bowling, my husband and I own three bowling pro shops and we are always looking to expand those; eventually we’d like to open more. I also coach and teach private lessons when I am at home. BL: Now for the tough question: What is the best way to get over a devastating loss, like the one you encountered at the 2010 USBC Queens tournament? How do you cope with situations like that? MBP: It actually fueled me to work harder in the following months. I changed some things about my game, such as my ball grip and really focused on ways to get more strikes. The end result was that I came back to the 2011 USBC Queens and went one step further by winning it. Everyone can learn something from defeat! BL: As a huge tennis fan, one of my favorite players is Serena Williams. I see her fast approaching retirement at age 35. Do careers in bowling also come to a close in your mid-thirties? MBP: Actually it’s quite the opposite. When you are in your 30s you are pretty much in the prime of your career. It’s quite possible to play this sport well into your 50s. Pete Weber is still playing on the tour and I think he is 54, and Walter Ray Williams Jr. is in his late 50s. If you stay healthy, you can continue to play this sport well into your 50s and beyond. BL: If you stay healthy. Do you have any keys to staying healthy in your sport? MBP: Yoga! I have found that yoga helps to even out the body and get you mentally dialed in. It also helps to prevent injuries. Throughout my career I have struggled with various injuries but once I started doing yoga, I discovered that I stopped getting injuries. To learn more about Missy visit her website at http://www.MissyParkin.com. Bryan Lee is a National Exercise & Sports Association (NESTA) certified personal trainer, life coach and author who has lost over 130 pounds.